Intestinal polyp. 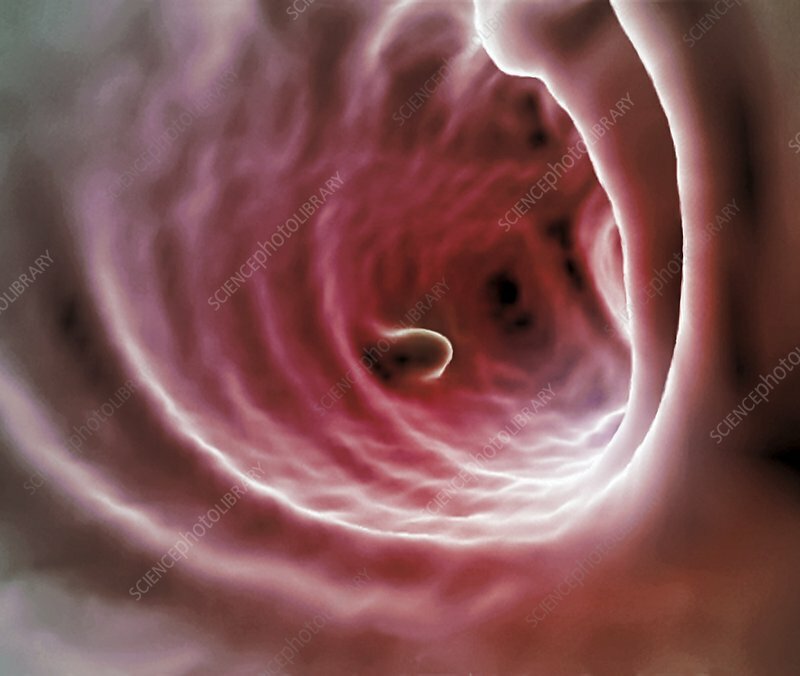 Coloured virtual colonoscopy (VC) image of a sessile (non-stalked) polyp in the colon of the large intestine of a 39-year-old patient. A VC is constructed from 3D CT (computed tomography) scans and is used to diagnose bowel disease. Polyps are benign (non-cancerous) growths that arise from mucous membranes. Although benign, polyps are generally removed surgically as their growth may obstruct the passage of food, and some polyps may turn cancerous over time.